Mike Binger was born in Delray Beach, Florida on December 20, 1976. He earned his Ph.D. in physics from Stanford University in 2006, two months before he made a name for himself at the World Series of Poker. 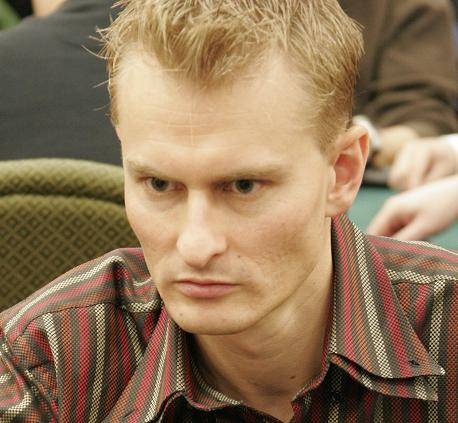 Mike Binger is best known for his 3rd place finish at the 2006 World Series of Poker Main Event, where he outlasted most of the record setting field of 8800 players. His third place finish earned him $4.1 million. That was actually his second final table of that WSOP, as Mike had finished 6th in the $1500 No Limit Holdem event. Mike has had money finishes at two World Poker Tour events, the WPT Doyle Brunson North American Poker Classic, where he finished 16th and won $67,655, and the WPT Pokerstars.com Caribbean Adventure, where he finished 41st to win $17,787. Despite his poker success, Mike Binger still desires to make a name for himself as a theoretical physicist. He’s still playing poker, but he will probably return to physics one day. Mike currently lives in Atherton, California.